Chongli or Zhurong is a god of fire and warfare, who rides a giant tiger into battle. He has a son, Gong Gong, a sea monster and troublemaker. Gong Gong once plotted to take the throne of heaven from Shangdi, and Chongli his father donned his armor and mounted his war tiger to stop him. He and Gong Gong dueled for many days in the heavens, and finally Chongli smote his son down to Earth. Furious at his loss, Gong Gong bashed his head against the pillars which held the earth in place, and Nü Wa had to fix the world with the help of the great turtle Ao. Chongli, victorious, ascended back to heaven as the god of fire and Lord of the South. The Vermilion bird is a mythological creature which represents fire, summer, and sometimes goes by the name of Vermilion bird of the South. With its multi-coloured plumage perpetually coated in flames, the Vermilion bird’s dominant colour is that of fire, much like its Egyptian counterpart Phoenix. Considered a bird of elegance, it is known to sing and break into dance at will, and can even make small seeds grow into giant trees. At night, however, the elegant creature shows its far fiercer side as it dines only after sundown and feasts on snakes and serpents coated in cinnamon. Inferno: Chongli unleashes his fiery wrath on the enemy by casting the Inferno God Power. 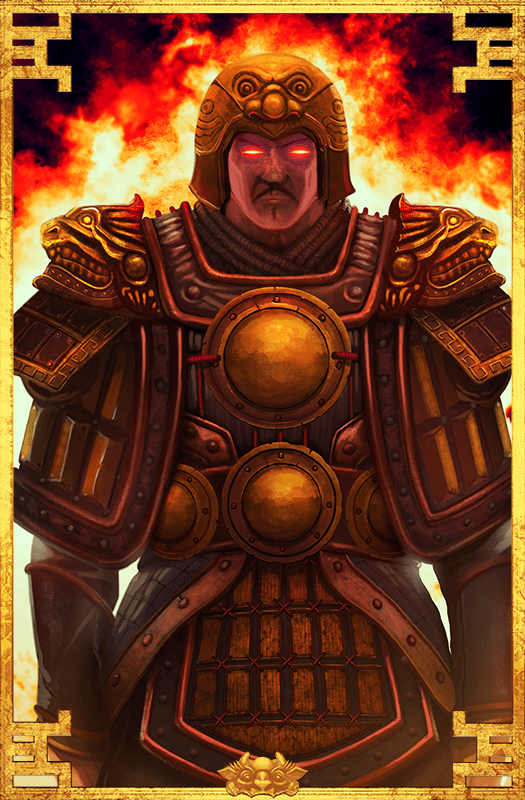 This Mythic Age God Power will burn down enemy buildings and scorch any units located inside its radius. The Inferno is not very selective once unleashed, so look out for allied units in the targeted area. Heavenly Fire: Chongli removes the food and wood costs of your Armory technologies. Stirrup: Chongli increases the hitpoints of all your Cavalry units. Ancient Destroyer: Chongli increases the movement speed of your Ships.